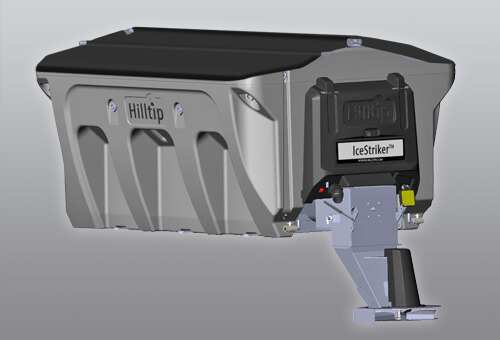 The Hilltip IceStriker™ 1600-2600 is a 12V/24V electric salt and sand spreader designed for 3,5-10 ton trucks with the choice of auger or conveyor belt as feed mechanism. 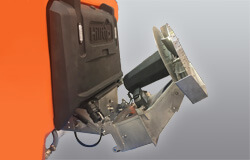 The lightweight hopper body made of polyethylene, and mounted parts in stainless steel, provides you long lasting protection against corrosion and rust. 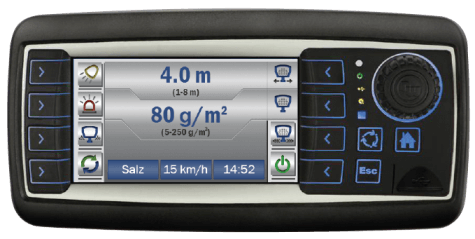 The IceStriker™ spreader and controller system helps you save money and reduces the impact on the environment, while achieving the same de-icing results as before. The salt spreader can easily be transformed into a complete brine solution sprayer or into a pre-wet combi spreader that moistens the spreading material. 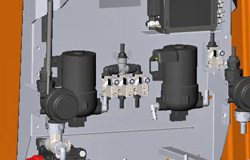 Integrated tanks in the double walled hopper body holds up to 900 l of liquid. The spreader can optionally be equipped with a 2 meter spray bar or a hose reel with hand-held spray nozzle. 12 or 24 volt dual motors, mounted inside a sealed weather-resistant enclosure. 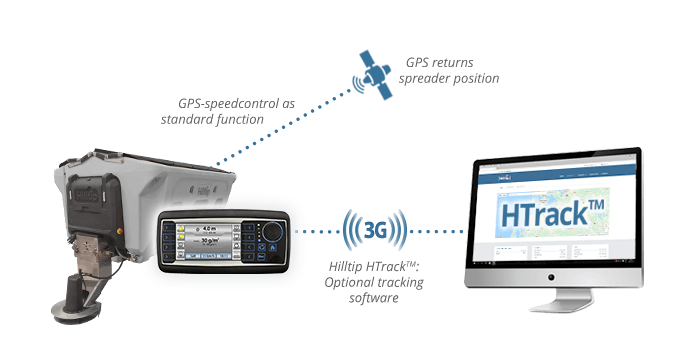 Inverted-V helps reduce heavy start-up loads on the auger/conveyor. All in stainless steel. 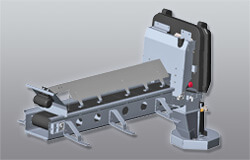 Choose the feed mechanism you prefer: Auger or conveyor. Image shows the 150 mm stainless steel auger. 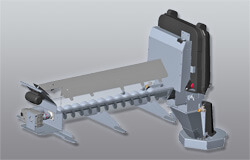 Choose the feed mechanism you prefer: Auger or conveyor. 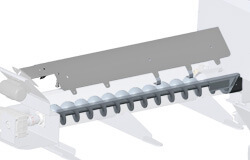 Image shows the 300 mm wide conveyor belt.